I’m sure it’s obvious that fall is NOT my favorite time of year, and winter is worse. I spend months rampaging at everyone, the moment someone puts a carol on. The usual cozy imagery of the season just makes me grumpy. So it’s a bit odd how happy I was with these images. They’re just serene, and happy. These were shot last weekend, in the rain, on location in Sauvie Island, Oregon. Gabrielle Jones models, in her own clothing. 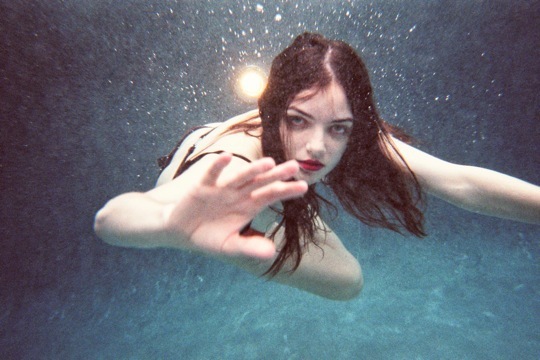 Photography by Mikola Accuardi. I did hair as well as makeup for this. So, I designed the entire look for this day around the idea that we were going to be dipping it in the pool later, and any powders used might be cakey, or wash out or off underwater. Plus, the bluish tone of pool water can have odd effects of the skin tone, so I compensated with a touch more bronzey color, to keep her skin at its natural color. This is the first photoshoot I used my airbrush at! Having tested it on myself, and even tested crying in it, I loved how it held up and barely moved. It was a good choice, and did the same here. This features the lovely Olivia Long, at Option Model Management, photographed by Mikola Accuardi. UD 24/7 cream eyeshadow in Rehab-outer corner of lid, for contour. UD 24/7 liner in Demolition(Holiday ’11) outer lashline, for both upper, and lower lashline. Trim and apply false lash singles, and clumps to outer lashline, trimming to be a slight bit longer than the natural lashes. OCC Airbrush Foundation–mix of y1 and y0(y1 dominating). Blush is an airbrushed mix of OCC Hush, y1, and a half drop of Primary Green. 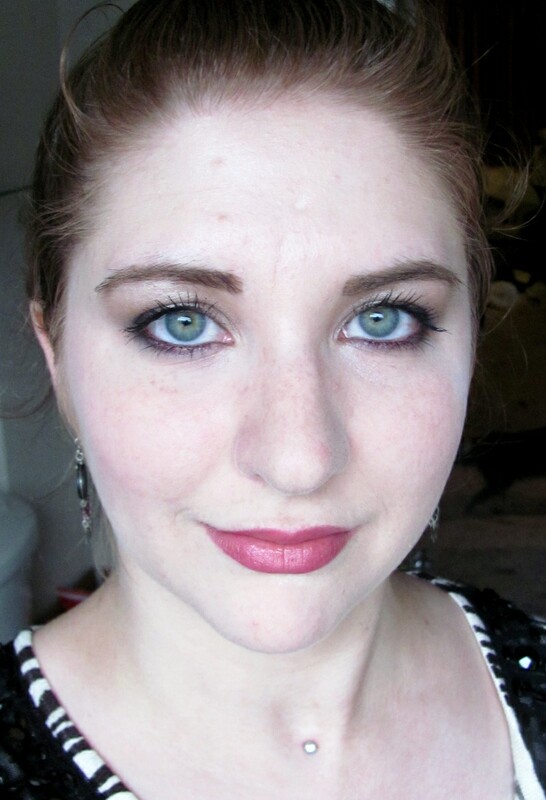 For this look, I mixed OCC Lip Tars in Anime, Traffic(I think that’s the yellow one? ), for a pinky-coral, that appears darker underwater. A few illustrated odds and ends! All of the pictures I couldn’t get off my camera…. 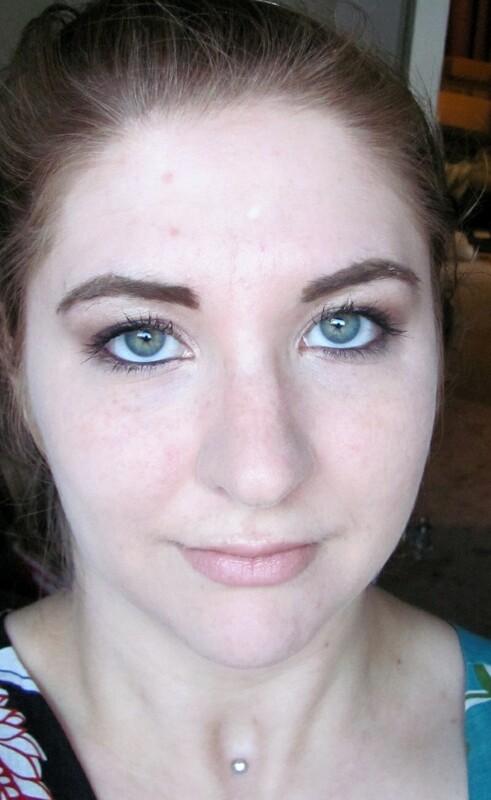 Using the NARS Grand Palais duo, UD Naked Palette, benefit cream eyeshadow, and Sephora cream liners, and cream eyeshadow pencils. Don’t know exactly what went with what anymore….. I did this for a photoshoot a month or so back. Since the styling was 70s themed, I didn’t want the makeup to be too anachronistic, but I wanted it to have elements of the dewy glow that characterized 70s makeup. Photography by Rudy Joggerst, Modeled by Kim K. All Makeup/Hair/Wardrobe styling by myself. Eh, it matched my dress. I’ve been so tired this week, working overtime and running around, that I haven’t touched my makeup. Ugh. 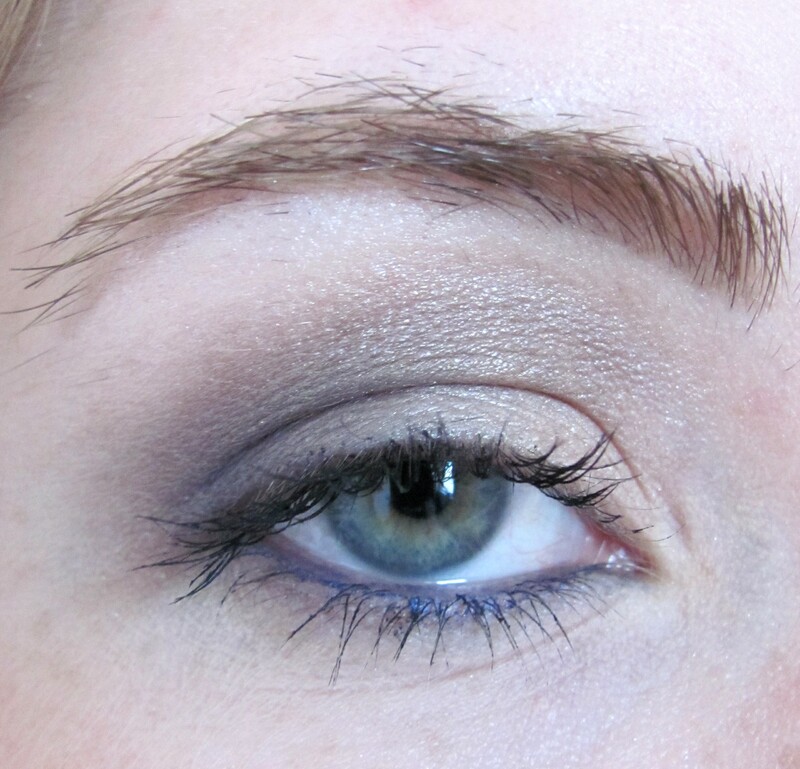 3 ways to wear Guerlain Rue de Passy eyeshadow palette. I’m hoping that my feelings on the palette improve with more play. I LOVE the packaging, and the colors(in pan), but so far they seem too chalky and sheer for the price tag. Ah well, we’ll see. I tried doing 3 different looks, just to test the blending and application. 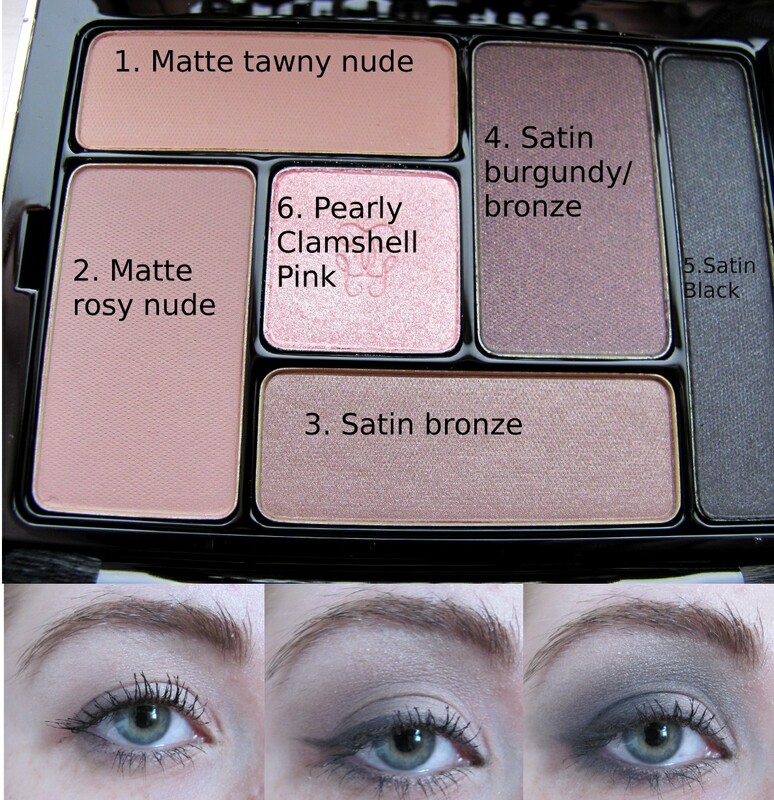 I kept the palette picture here, to show which color is which, since it can be tough to see or label, in application. This week may be short on posts. My tendinitis is back full-force, and it has been two days since I could get through my paperwork at work without nearly crying from the pain. Ah well. 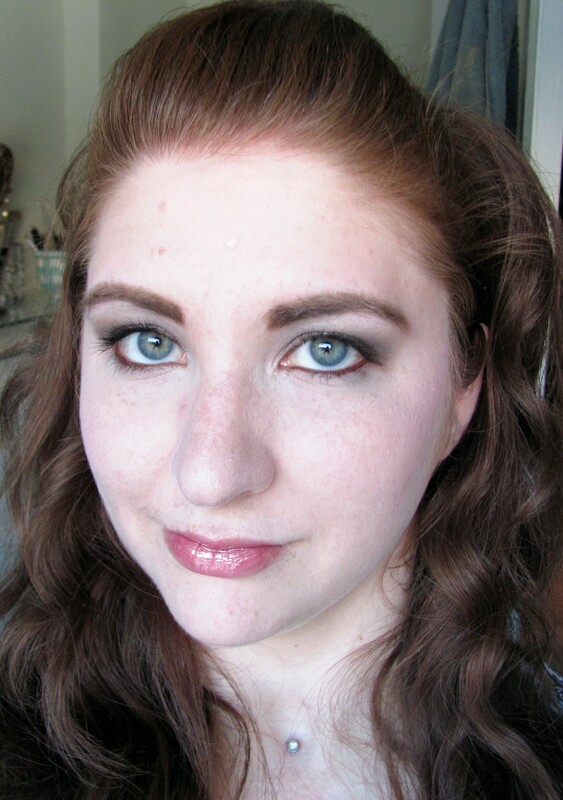 Testing out a cream shadow pencil, since I’m hoping it will be easier to apply on days like this. It is, marginally. Because I’m shooting today, and needed something I could do with the few brushes that aren’t good enough to be in my kit. Yeah, I know my hair is all over the place. The lighting was fairly difficult, too. The sun is just in the process of rising over here, and I still haven’t found a well-lit area in the new house. Alternate title-The Most Wearable Blue Look I’ve Ever Done. Or even Why Do I Spend Money On Smashbox? REALLY?! 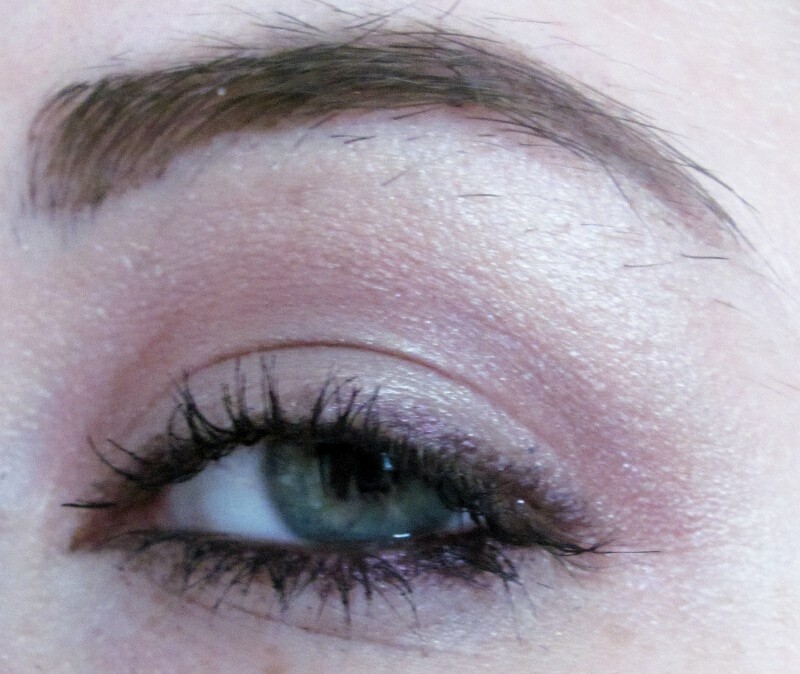 Seriously, these eyeshadows barely adhered to my lid, and were SO sheer! This is the third set of smashbox eyeshadows I’ve gotten(on sale) and they’ve ALL handled this way. Seriously. I need some little shoulder-being to smack me upside the head every time I look at a cheap smashbox palette. It’s kind of pretty though? After LOTS and lots of layering to get it to show up, and even more blending to try to prevent it from adhering in uneven streaks?! Side note. I wonder how long it will take to get a good full-face lighting in my new home. I HATE how half my hair/head is washed out by the window. 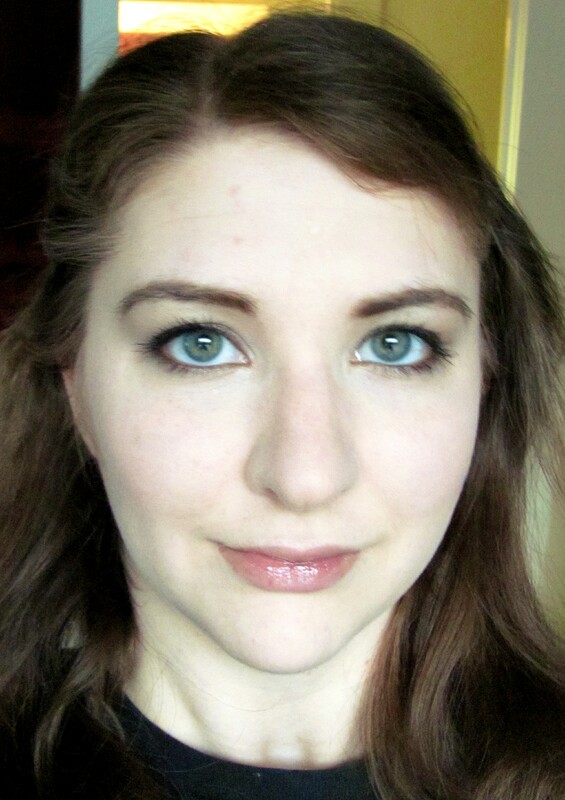 And this was the BEST I could get, using mirrors to soften the shadows on the dim side of my face. Ugh.